Allburn® waste incinerators are available in three different capacities to satisfy a wide range of requirements across a broad spread of industries. All Surefire® incinerators are designed, manufactured and certified to comply with the very latest global environmental and safety standards. Surefire® pet cremators can be specified to accommodate a wide cross-section of animals/pets including horses, zoo animals, dogs & cats down to the smallest of beloved pets. The IEB range of pet cremators is based on a concept originally developed by our sister company in the USA, but that has now been adapted by us to ensure that it complies with the latest UK and European legislation. At Matthews Environmental Solutions we work closely with our pet crematorium customers to design and manufacture the exact specifications to match their business needs. Everything about Novus™ human cremation systems is designed and engineered to the highest international standards. All Novus® human cremation systems are designed with the most advanced flue gas treatment systems to ensure that they meet the standards of all significant international legislation. With ever-tighter compliance legislation and constantly rising costs for commercial waste disposal, it is little wonder that more and more organisations, both large and small, are now investigating ways of operating their own waste management systems. As one of the world’s leading waste incineration specialists, Matthews Environmental Solutions will not only provide the most efficient, most cost-effective and most environmentally responsible waste management solutions, but depending on the circumstances, it is quite possible that your waste disposal system could become a valuable cost-saving resource, or even a profitable new revenue stream. Matthews Environmental Solutions is based in Manchester, England, but our waste incineration technology is now in service quite literally across the globe. 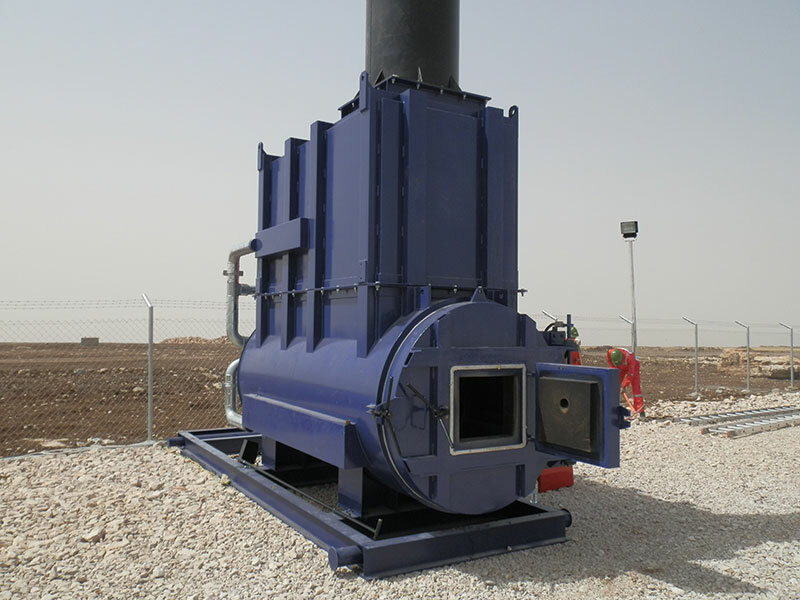 The company’s range of SureFire®, allburn® and bespoke waste incineration systems range from small, portable units up to colossal custom-designed and engineered installations and they are specified to deal with all types and amounts of waste materials, including: industrial waste, commercial waste, medical waste, scientific waste and even dangerous and hazardous waste of all descriptions. Now, instead of paying for waste to be collected and disposed of (often at considerable expense) more and more companies, organisations and authorities are recognising the financial and operational benefits of managing the process themselves. Not only does this approach afford you far more control over waste disposal than relying on a third party, but it also ensures your waste management operation is fully compliant with the very latest international legislation and equally importantly that all the costs are controllable and competitive. Depending on circumstances it is also possible to incorporate significant cost-saving technology, including energy recovery systems that harness heat generated by the waste incineration process to provide valuable resources such as steam, hot water or hot air that can then be re-used as ‘free energy’ within your production processes or for the working environment. Should the waste incineration plant be suitable, we can also design in energy generation technology to provide what can be substantial levels of electrical power for use as ‘free power’ for use on the operating site or to be sold to an off-site electricity grid provider. So waste doesn’t have to be a wasteful expense. With the correct advice and the world’s best waste incineration technology it will not only save you money… it can even become an important profit earner. If you would like to discuss your organisation’s waste disposal requirement and learn more about the Matthews’ waste management solutions then please do not hesitate to contact us. You can call us on +44 (0)161 337 4488. You can also email us at: sales@matwuk.com or you can also send us an online message using the form that can be found on our Contact page. Matthews Environmental Solutions LTD are a long established ISO 9001(2008) accredited company, that specialise in the design, manufacture and installation of the Surefire® brand of incinerators, cremators and combustions systems. Our vision - to unify, grow and innovate. Our mission – to focus on our environmental responsibility and success of our clients. Our values - to demonstrate integrity, cultivate employees, be our best. Will the UK environment suffer because of Brexit?